There are so many reasons why M1NT ultimately didn’t work. Despite its intentions it never quite captured a bona fide exclusive vibe; it was a little too niche, and, perhaps, most significantly, in the context of Hong Kong’s fickle clubbers, it was too out of the way. It also never really suited the neighbourhood. 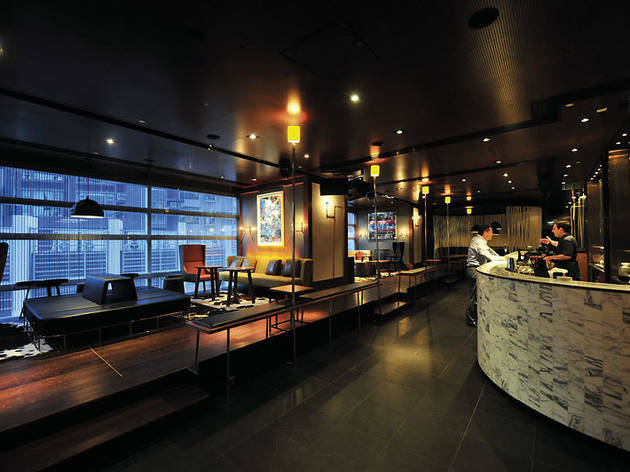 Sheung Wan is one of the most exciting emerging entertainment districts in the city, with new cafés, bars and restaurants popping up on a weekly basis. The area is cool, but chilled; sophisticated but casual. Now, the space of the former M1NT has been transformed into Republik, a lounge that’s more in line with this environment, declaring its independence from this previous regime. Walk down Hollywood Road and the metamorphosis is palpable. The intimidating black door that separated M1NT from the world is gone, replaced by a petite yet welcoming open-fronted lounge. There’s also a sidewalk deck out front, sprinkled with rocking chairs and stools – which attempts to capture the al fresco ambiance of the always-popular Classified next door. Republik is spread over two levels, and while the smaller downstairs hones a relaxed street-side atmosphere, upstairs is where the serious lounging happens. The most immediately striking aspect of the upper level is the sprawling space. With the removal of M1NT’s private booths and the addition of warm lighting, Republik feels significantly larger than its predecessor, which is both a rare luxury and a challenge. The bar has been completely refitted and redesigned (yes, the piranhas and sharks are gone), now boasting chic brown-and-beige heavy retro furnishings throughout. To deal with the openness, little nooks of couches and tables have been created to provide pockets of intimacy. While it can occasionally feel slightly empty, Republik’s space is ultimately one of its great assets. It is, after all, a cocktail lounge and not a heaving Lan Kwai Fong party bar. This focus on fine mixed drinks is confirmed by the briefest of glances at the impressive bar menu. Wine die-hards might want to try one of the six reds or whites offered by the glass ($85-$140), but for anyone else, Republik’s list of 17 signature cocktails (all $120) is a must try. It’s an impressive collection, with a distinct focus on fresh fruits and infused spirits. We were particularly fond of the Signora Della Notte (Sangria Rouge, Glenlivet 12 year, demerara syrup, port, bitters, sours), a full and round concoction with a surprising finish from the spice-infused sangria, and the Ainsbury (chamomile syrup, pineapple juice, Wild Turkey 101, bitters, sours, apricot brandy), which hits with layers of subtle sweetness, smooth bourbon and an easy fruity down side. Their cocktails are also entering the communal realm, offering sharing punches ($400) served in 3-litre carafes, including the gin-based Summer Punch No 3, and two types of sangria. Ultra high rollers might also be interested in the Hendricks High Tea ($1,500), which includes a full bottle of the cucumber- and rose-petal infused gin, served on a silver tray with house canapés. There’s an admirable ambition behind Republik, and besides being a great lounge in its own right, we hope it provides a springboard for more Sheung Wan drinking establishments, and more bars exploring the art of cocktails. 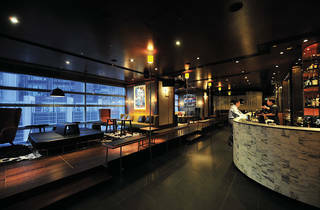 108 Hollywood Rd, Sheung Wan, 2261 1111; ww.republik.com.hk.